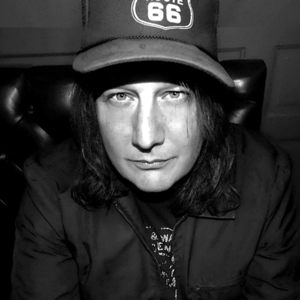 Kevn Kinney is an acclaimed American rock/alt­country/folk singer and songwriter most widely known as the founder and frontman of the Atlanta­based band Drivin N Cryin. An accomplished musician, poet and painter, Kinney has released multiple critically­acclaimed recordings over his 29 year professional career including the gold­certified album Fly Me Courageous. He has performed and/or collaborated with the Allman Brothers’ Warren Haynes, REM, The Who, Grammy Award winning producer Paul Ebersold and Blues Traveler's John Popper among others. In 2011 Drivin N Cryin was honored by the State Of Georgia with House Resolution 387, recognizing the band members for their contributions to the arts and for their ongoing charitable efforts. In 2013 the Executive Producers of F/X Network’s hit TV show Archer asked Kinney to produce 12 tracks (5 of which are pre­existing DNC/KK songs and 3 of which were written anew by KK for the series) for season 5 debuting January 13, 2014. Drivin N Cryin’s current release is Songs For The Turntable, produced by Paul Ebersold and released January 14, 2014 on Blank Records.